You may have heard the term “Cyber Insurance” in exceptionally glowing terms, describing it as the next big thing that no sensible business should be without. Or you may also have heard it described as something that is greatly hyped but which is not quite as awesome as all that. As with most things, the truth is somewhere in between these two extremes: It’s something that may be a great tool to help transfer risk in the event of a cybersecurity breach, but only if you apply it with adequate forethought. As the situation was so eloquently described in last year’s Ponemon report on the rising cost of breaches, “Throughout the world, companies are finding that data breaches have become as common as a cold but far more expensive to treat.” How expensive is that? On average, this year it cost companies $3.8 million; 23 percent more than what it cost two years ago. Per record, this cost is about $217, though this cost varies by industry: Healthcare records cost companies $398 each. This is due in part to heavy regulation in the US around patient privacy and security, and because of a high level of customer turnover as a result of breaches. One would hope that people would see these numbers and simply be motivated to apply the necessary tools to secure their businesses. But reality is seldom as uncomplicated as that. Many businesses are lacking in the understanding, skill or financial wherewithal to tackle this task adequately. If your business is in just such a situation – while it will not help if you have not yet begun the process of protecting your business – if you are improving your security situation, insurance may be a good way to help bridge the gap. 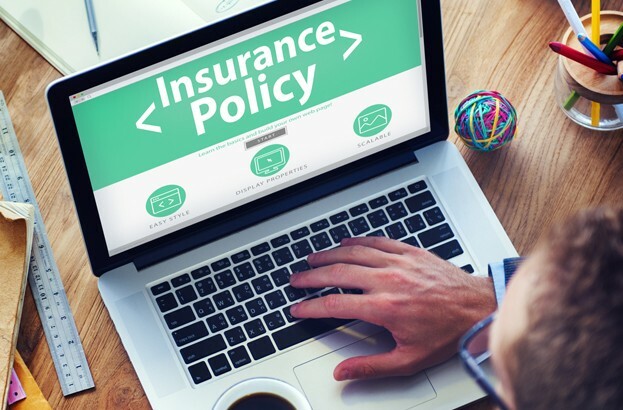 Before you go about looking for cyber insurance, it’s a good idea to become conversant with the two main types of coverage. The first type covers “first party” risks, which is to say loss of or damage to your own data. The second type covers “third party” risks, which involve liability to clients or government and regulatory entities. In a typical breach scenario, first party coverage could help with the costs of breach notification, forensics, remediation or data restoration, and identity monitoring services for victims. Third party coverage could help with the costs of regulatory fines and fees, or lawsuits and claims brought by affected customers. Most businesses would likely benefit from both types of coverage. Businesses in heavily regulated industries such as Education and Healthcare will need to be sure to get adequate third-party coverage. If you discover a months-old breach the day after your coverage begins it’s likely that your policy will not pay out for your present situation. Some plans may allow you to backdate coverage to improve the likelihood of being covered in such situations. Even if your main databases are encrypted, if an employee or contractor loses sensitive data that is not encrypted (such as in a spreadsheet or document file), this may not be covered. Cyber insurance is not a license to practice poor security – there will be an expectation that you will adhere to reasonable data and network security standards. We’re seeing more and more insurers refusing to pay out or even initially insure businesses that they deem to have insufficient defenses. It is important to determine what your insurer considers reasonable standards. Many policies do not include data that are in the care of outside parties such as outsourced support groups, cloud services, external vendors or marketing and PR groups. It is important, in these instances, for those parties to carry their own liability insurance. This may seem obvious to some, but records that are physical hardcopies on paper are not typically covered by cyber insurance. What may be less obvious is that data on mobile devices (including laptops, as well as smartphones or tablets) or in the cloud also may not be covered. While it may seem like a given that first party coverage would include notifying the customers affected by a breach, it may not be covered. This is something you should double-check before committing to a plan. As major breaches become a quotidian occurrence, certain aspects of an appropriate response have become standard. In the event of a breach involving payment card or social security numbers, customers will expect to receive credit-monitoring services. Because of the long-lasting effects of medical data theft, customers may expect monitoring services for longer timespans: Anthem, Premera and CareFirst all offered monitoring for two years after their recent breaches. Because this can be such a large expense, this is an important item to check. If a breach involves data damage rather than (or in addition to) theft, you may wish to pursue restoration services. Depending on the nature and extent of the damage, this can get very costly very quickly, so some policies may not include it. If you do wish to forgo this item, be diligent with regular backups. Regardless of the size of your business or which industry you’re in, it is best to begin your search with a thorough risk assessment to determine how much coverage you really need. Be sure to include all the groups within your organization to make sure as many risks as possible are included. It is important to remember that you cannot insure against loss of business due to damaged reputation in the aftermath of a breach. And those costs can be significant; according to this year’s Ponemon report, a breach can cost businesses up to an average 4% of customers, in some industries. It is better to avoid being breached in the first place rather than relying on insurance to cover damages.